If loving the cast Good Girls is a crime, we don't wanna be right. NBC's new drama starring Retta (Parks and Recreation), Christina Hendricks (Mad Men) and Mae Whitman (Parenthood) launches next week. And, in spite of the title, these three are more about being badasses than "good girls." 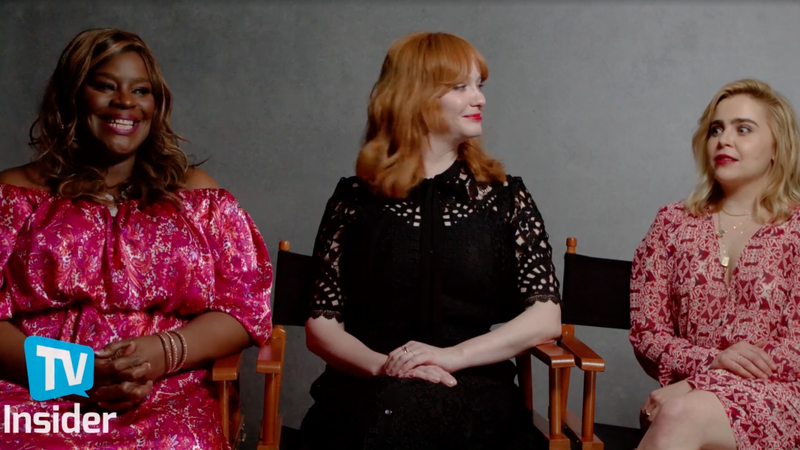 Good Girls centers on a trio of friends who have had it up to here with no-account men, money problems, and the system in general. The series really gives each actress a chance to play dark comedy, deep drama, and straight-up action as they end up in way over their heads after pulling off what should have been a simple armed robbery. 'They are pushed to the brink,' says executive producer Jenna Bans. From there, things get wilder and more lethal—we won't spoil how or why—but from our recent chat with the funny and so fierce ladies, it sounds like they were more than up to the challenge. In fact, we would watch an entire series built around their cast-bonding dinner, which sounds a lot more scandalous than some of their own self-confessed crimes!